Tree Service Palm Bay, Melbourne & Merritt Island - Serving Brevard County Florida - Tree Trimming, Removal & Stump Grinding - Tree Service Express, Inc.
Introduction to Tree Service Express, Inc. When you need any type of tree service, in the Brevard County or Indian River County, Florida area, the expert Arborists at Tree Service Express are ready to quickly respond to your tree service situation. We are a complete tree service company, serving any residential or commercial tree pruning, tree trimming and tree removal needs you may have. Complete tree service means we provide any and all tree trimming, pruning and removal services you may possibly need, but we also offer: stump grinding, property clean-ups, and storm damage clean-ups. When we complete the job, you know it was done right and that we will never leave any debris behind. Here is a quick look at what the experts at Tree Service Express can do for your home or business. 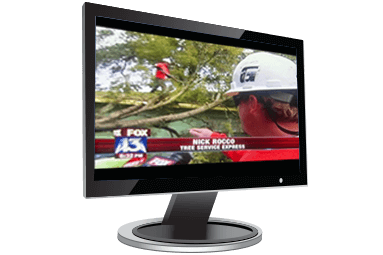 No matter what sized residential or commercial tree service job you have, Tree Service Express has the equipment and expertise to do the job quickly and do it right. From a medium-sized tree near the side of your home that you would like trimmed, pruned or removed, a large tree you want to have examined, an old stump you want removed, or a massive tree next to the apartment building that needs a crane to be removed, we have the right equipment and experience to do the job. Tree Service Express is here to handle any size tree service job in Melbourne, Palm Bay, Merritt Island and all of Brevard County and Indian River County, Florida. Large tree removals are the most dangerous part of our job and this is especially true in the case of large trees that are in awkward and tough areas to get to. When it comes to large tree removals, one mistake can cause major damage; this is no place for an inexperienced crew that does not have the proper heavy equipment! Hazardous and awkward large tree removals are our specialty. We have the experience and the equipment for any size job and we follow strict safety practices to ensure a safe removal. Every job we do is also covered by $2 million of liability insurance. Most trees will live very long and healthy lives and never become a hazard if they are properly taken care of. Proper tree trimming and tree pruning is vital to the continued health of any tree and protect any nearby structures and property from damage. Our expert Arborists are always here to help you keep your trees properly trimmed and pruned to protect the health of your trees. Part of living in Florida is the fact that storms, flooding and hurricanes are a constant threat and do occur with some frequency. The best time to take care of preparing your home for these major weather events are before they happen. We will be glad to come out and give you expert advice on what needs to be trimmed or taken down to prepare your trees in the event of a storm or hurricane, then completely remove all debris. A trained arborist can examine and evaluate a tree's current state of health and advise you on exactly what needs to be done to make and keep your tree as healthy as possible. Both of our ISA Certified Arborists are highly trained and specialize in diagnostic evaluations of trees and we are always happy to offer estimates. If you have a tree you would like examined anywhere in Palm Bay, Brevard and Indian River County, give us a call for a free tree quote today! Inevitably, dangerous tree emergencies are unavoidable and do often occur. These can be due to storm damage or due to age, when the tree has begun rotting. Nick and his team are experts at knowing when a hazardous tree situation has developed and an immediate tree removal is necessary in order to protect people and property. You can rest easy knowing you are in good hands and have selected the right Tree Care, Tree Trimming and Tree Removal Company with Nick & the Tree Service Express team! 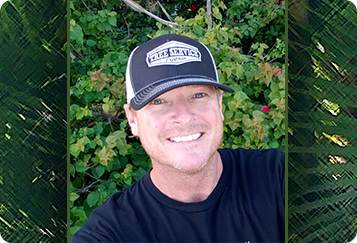 Nick Rocco is an ISA Certified Arborist, who specializes in diagnostic evaluations of oak trees and other hardwood trees in particular, as well as all other tree varieties. Nick is both honest and straight-forward, and strives to educate the property owner on the health and hazards of their trees. They have great respect for maintaining tree integrity. We take great pride in providing all of our customers with a full range of the highest-quality tree services anywhere in the Palm Bay, Brevard County or Indian River County, Florida area. Please give us a call at: 321-237-3733 any time, 24 hours a day, 7 days a week and one of our courteous, professional staff will be glad to help you. Dangerous tree emergencies can occur due to many different reasons, and Nick is an expert at knowing when a hazardous tree situation has developed and a tree removal is necessary to protect both people and property. You can rest easy knowing you are in good hands and have selected the right Tree Care, Tree Trimming and Tree Removal Company with Nick & the Tree Service Express team. We specialize in emergency storm damage response. Please call 866-412-0820 anytime, 24-hours a day, 7 days a week, if you need an emergency response!